Are you drinking less than 200mg of caffeine a day from tea? In pregnancy, drinking too much is not safe for you and your baby. Drink tea responsibly. Tea in pregnancy or no tea in pregnancy, that's the question you may be having right now moving into your first trimester of being pregnant. Now that you are eating and drinking for two, doing the right thing for you and your baby is your first priority. What teas are not safe during pregnancy? 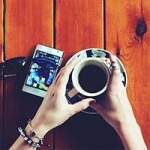 - What amount of caffeine is safe while pregnant? 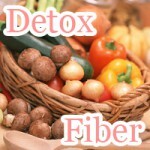 - Is it okay to drink herbal tea during pregnancy? 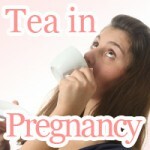 - There are a horde of questions surrounding tea in pregnancy. Find out what you need to keep drinking tea while pregnant. Setting your boundaries for drinking tea during pregnancy starts now. Drinking tea during pregnancy comes borderline close to one of those foods to avoid during pregnancy. Before getting pregnant drinking tea was just one of those things you did without thinking about how much caffeine is in it; and now you are drinking for two. Not all teas are caffeine free. Caffeine in tea is one roller coaster ride that you do not want to start your baby off before reaching adequate high to drink responsibly. You may have noticed after drinking a cup of non-herbal tea (with caffeine in it that your heart rate changes. The same goes for your baby. Drinking too much tea during may increase the risk of miscarriage. Herbal tea and pregnancy: "it's better safe than sorry"
Angelica tea or dong quai may help with bloating and lifting your mood when dealing with PMS menstruation. However to the way it stimulates the uterine, drinking angelica tea during pregnancy to relax your uterus is not something you should be doing while pregnant. If you are pregnant and want it to stay that way, stop drinking angelica tea immediately. Feverfew tea is an herbal tea said to be good for pain relief, bringing down your fever, and dealing with anxiety. However when pregnant it has been deemed unsafe having the potential to cause early contractions and even miscarriage. Although the effects it has on breast feeding is not yet known, drinking feverfew tea during pregnancy should be avoided. Other unsafe teas to avoid drinking during pregnancy may also include flaxseed tea containing flax and passion flower tea, which are unsafe to drink during pregnancy because they might cause early contractions potentially resulting in premature birth. Avoid drinking too much tea containing caffeine while pregnant for the safety of your baby. If you have to drink tea (with or without caffeine), as long as you stay under 200mg a day, you shouldn't have anything to serious worry about as far as you baby is concerned. So just drink responsibly. Herbal teas (especially those under warning by the FDA) should be drunk with caution while pregnant. Always make sure to read up before diving into herbal tea remedies during pregnancy no matter how beneficial the effects. There are teas you want to drink while pregnant for the health of your baby and teas that are best avoided during pregnancy. 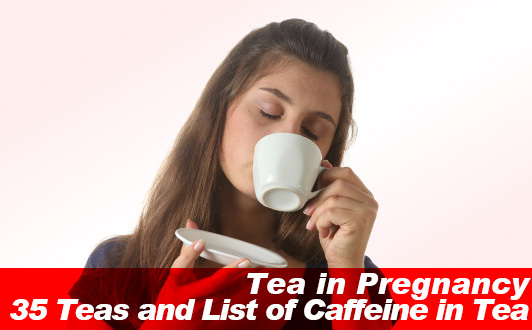 Don't take another sip until you know your pregnancy safe teas and teas you don't want to drink while pregnant. Drinking ginger tea is said to help with morning sickness while you are pregnant. 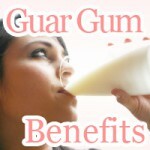 It is likely safe to drink during pregnancy. However, it a good idea to speak with your healthcare provider before drinking ginger tea during pregnancy. Drinking raspberry leaf tea in pregnancy is safe to drink even while pregnant if drunk in the right amounts. It is one of those pregnancy teas that help you deliver on time, never too early or too late. Healthcare providers will caution that it shouldn't be drunk before the end of your first trimester. Rooibos tea is a pregnancy tea that is safe to drink even while pregnancy. One characteristic that makes drinking rooibos tea more viable than drinking caffeinated teas is that it is low in tannins said to interfere with the nutrient absorption of iron in your diet. This is advantageous when worrying about how much iron you are getting in your diet. The average American drinks about 3 cup of coffee per day (1 cup equivalent to 8 oz or around 240mL). The same may be said about tea drinkers. If you are drinking teas with around 70mg of caffeine such as China white tea, you should consider cutting back on the amount of tea you drink daily or switch to a different type of tea such as decaf. Assam black tea should be avoided at all cost due to the fact that it is high in caffeine. Take control of your weight even when pregnant. During pregnancy you aren’t going to be able to get away with normal diets. That’s why there is a pregnant diet. When you need some energy, most probably you drink a cup of coffee or an energy drink. However, you should also think about the coffee effects on the brain. Caffeine is a chemical substance just like any other substance so it is just normal for it to have some side effects you may have never thought about.